Five Nights at Freddy’s fans think they’ve figured out exactly what the Five Nights at Freddy’s 4 will be about. How are they so sure? They’ve found a few hidden clues left behind by the game’s developer. Two numbers are repeated over and over again: 87. They appear with enough frequency that it doesn’t seem like coincidence, especially not with Cawthon’s history of hiding things on his website’s code. Okay, but what does that number even mean? FNAF fans point to one specific infamous incident within the FNAF lore: the “bite of 87.” It’s a terrifying event repeatedly referenced across all 3 games. The Bite of ‘87 was an incident that occurred in 1987 at Freddy Fazbear’s Pizza; it is briefly mentioned by the Phone Guy in the first game. The details of this attack (and the identity of the animatronic responsible) are not given, but it allegedly caused the loss of the frontal lobe of the victim’s brain. The incident contributed to a loss in the restaurant’s reputation, which resulted in a major drop in business. However, the restaurant would have closed down either way because of the conditions of the restaurant and the many health violations. Five Nights at Freddy’s 2 suggests that the attack occurs during the day after the game’s Night 6 (when Jeremy Fitzgerald is asked to work the day shift and to stay close to the animatronics). 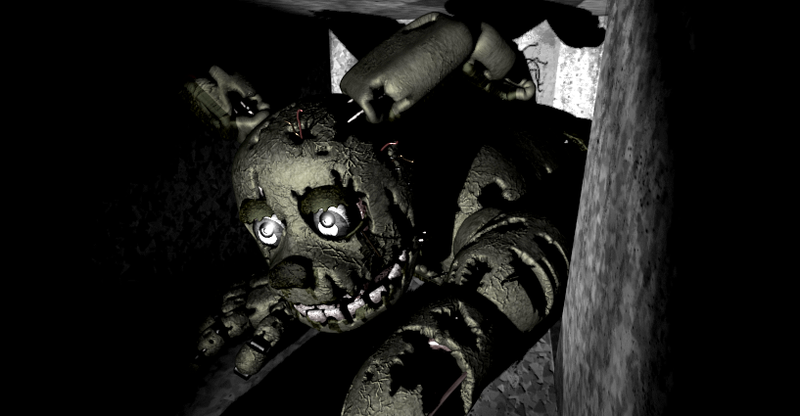 As a result of the incident, the animatronics were no longer allowed to wander around the building during the day; the management decided to limit their free-roaming mode to night-only so as to “prevent their servos from locking up,” as stated by Phone Guy. Right now, people are assuming that Five Nights at Freddy’s 4 must take place during 1987, perhaps exploring the tragic accident that set in motion the rest of the franchise. This would also mean that the “final chapter” of FNAF is actually a prequel, as the first game takes place in the 90’s. “Nightmare.” A message hidden in plain sight. But what does it mean? Guess we have to wait until Halloween to find out.